The hotel Le Mas, the hotel where the American/Venezuelan tourist Carla Stefaniak was killed, has been again been found hiring another Nicaraguan migrant, illegal in the country, as a security guard. Steven Madden, deputy director of the immigration police, confirmed that during an operation carried out at the hotel’s facilities to identify more people, they found the illegal guarding the entrance to the hotel that was shut down by the municipality of Escazu for operating without a license. “In this place, the person who is the case of the front gate is a citizen of Nicaraguan nationality with the surname Molina. Once the immigration systems is consulted, it is found he does not register any regular entry to the country. Also, the passport does not have any stamp that proves his legal entry,” said Madden. The attorneys for Stefaniak’s family, Josep Rivera and David Hernández, were surprised to learn of the recidivism of Le Mas by hiring illegals. “Arriving here we found out and managed to observe a vehicle of the immigration police and we are informed that the guard who was here at the hotel was arrested. They tell us that he is detained because he is a person who has problems of immigration status in the country, this draws our attention because he is not the other foreigner who was arrested and who worked here, but he is a different person who is also illegal, it seems that they (illegals) are still used for the care of this property,” said Hernández. The half-buried body of Carla Stefaniak was found on Monday, December 3, some 200 meters from the Le Mas after reported missing on November 28. 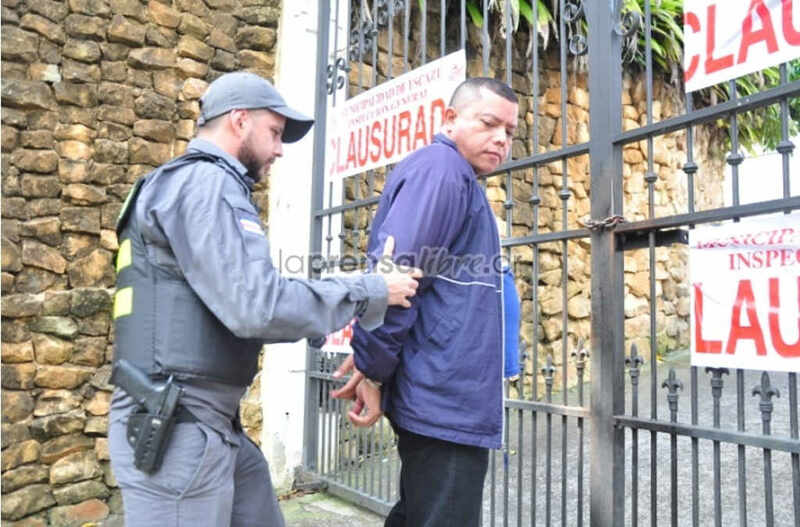 The hotel security guard, Bismark Espinoza Martínez, was arrested the arrested the same Monday night and is currently in preventive detention (remand) while the Organismo de Investigacion Judicial (OIJ) continues to investigate the case. Authorities say Martinez, the only suspect in the mirder of tourist, arrived in Costa Rica in June and was illegal at the time of the arrest.